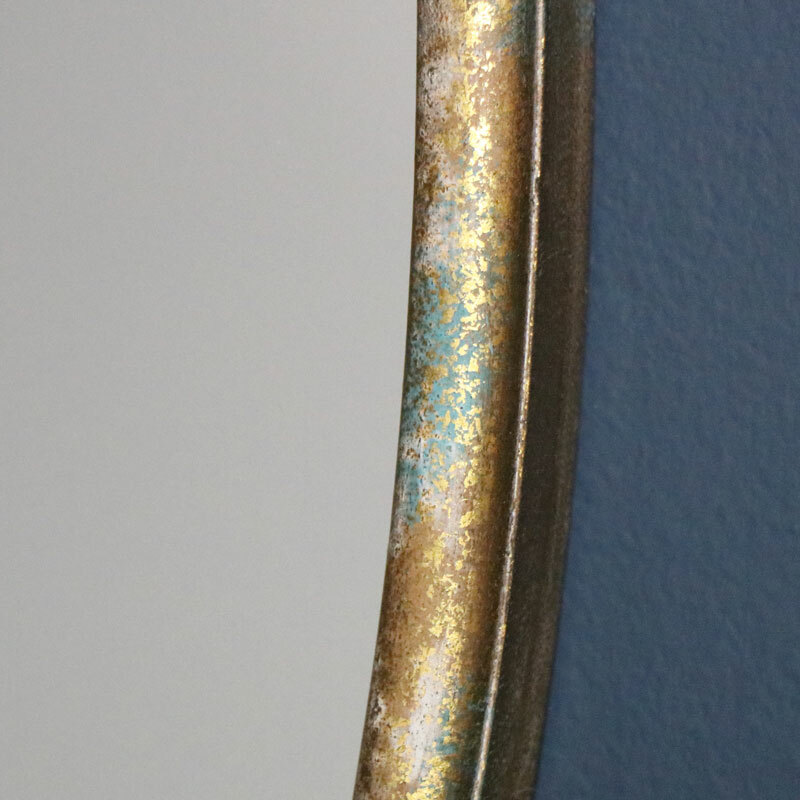 Rustic style wall mirror with distressed gold metal frame for an aged, shabby chic look. Perfect for the living room, hallway or bathroom with hints of the luxe style. A great look for modern, traditional and retro style interiors. The mirror hangs in portrait style with curved sides for a unique feel. full of character and vintage appeal. This mirror will make a great gift idea. 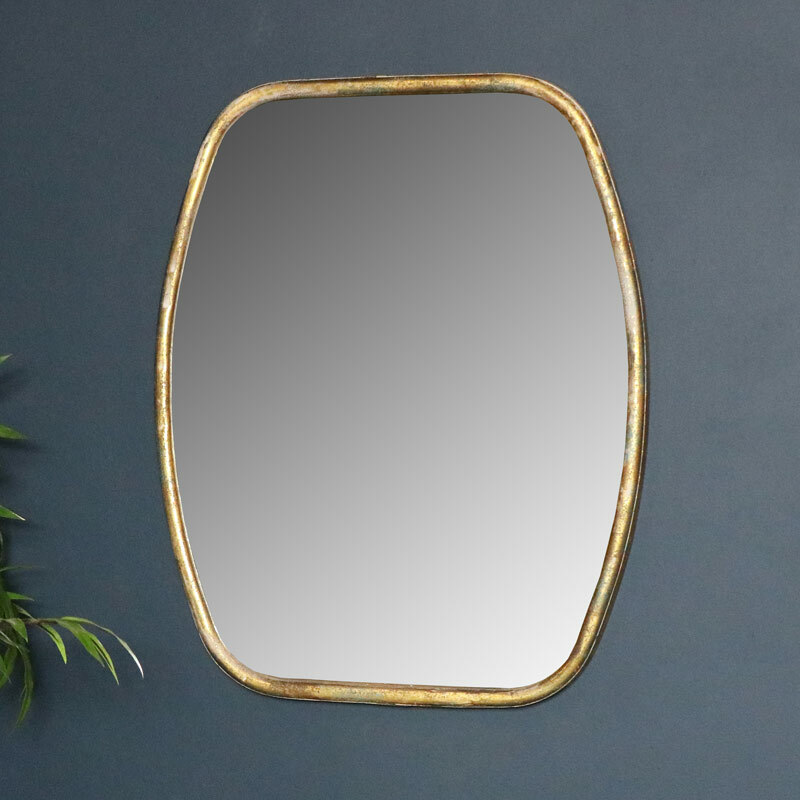 Rustic style wall mirror with distressed gold metal frame for an aged, shabby chic look. Perfect for the living room, hallway or bathroom with hints of the luxe style. A great look for modern, traditional and retro style interiors. 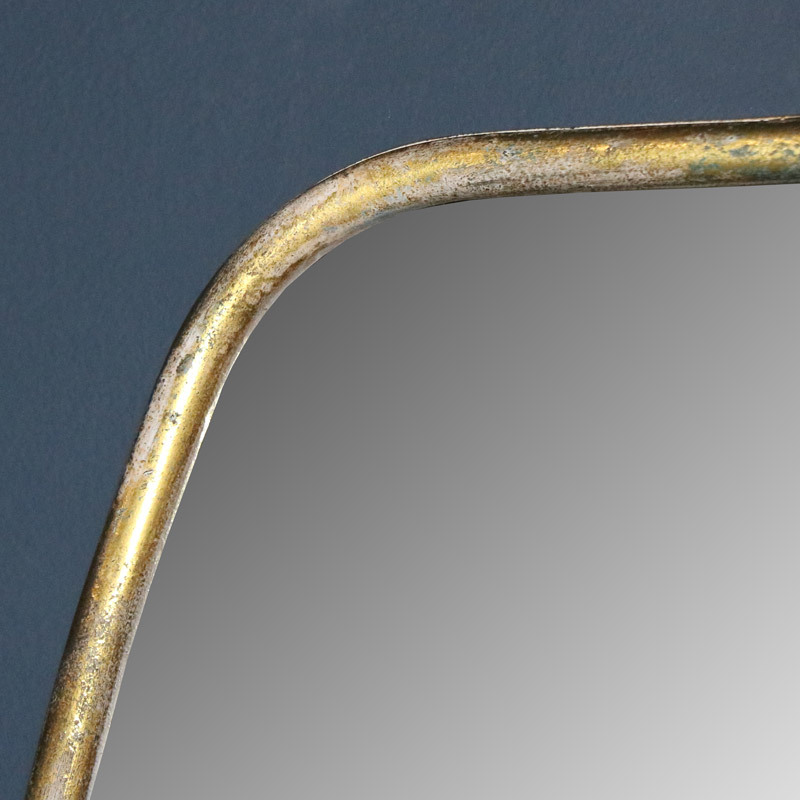 The mirror hangs in portrait style with curved sides for a unique feel. full of character and vintage appeal. This mirror will make a great gift idea. Gold metal frame in a rustic, aged finish. Wall hook on the back for hanging in portrait orientation. We have the best choice in mirrors for your home. Wall mounted, floorstanding and tabletop designs in a selection of styles sizes and colours to suit every decor.